I believe everyone meets up with people who have the capacity to change his or her life. Whether or not we decide to let that change happen is our decision. However, it is what we do or how we react to what confronts us that will change our lives one way or the other. Nothing remains constant, everything changes and so today, I have been honored by another one of my peers. 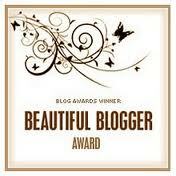 She has nominated me for the Beautiful Blogger Award, and so I say to Mary Ann Blinkhorn, thank you for your recognition and your nomination. It is truly an honor, and your recognition is a sweet balm to my soul. 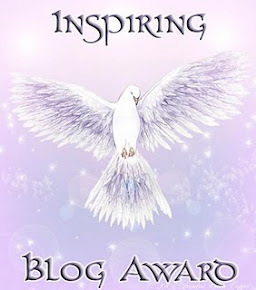 If you (my seven nominees) choose to accept this award…copy and paste the award icon to your blogs, provide a link to the one who nominated you (hello), then nominate seven blogs that you would like to recognize, and let them know that you have nominated them. Thank you to all whom I’m following. Your writing, poetry, artwork, and music is an inspiration to me. I would like to especially thank my readers. Because of you and your faithfulness to read my blogs, I am able to share my life, and that makes me happy. What is a song if you do not have anyone to sing it to? So, is it with my writing. It obliterate into nothing without you. My heartfelt thanks goes out to you. It was July 2001. Although I had been home in February, I had promised my mother I would be back for three or four weeks in the month of July. My mother was now alone at home, and a ritual had started between the two of us. Every day at twelve noon GMT+1 on my side of the Atlantic, and six AM EST on her side, I would call her and say good morning, and we would chat a while. As it came close to June, she began to worry about whether or not my husband and I could afford to come again. Knowing I was self-employed, she was well aware of the fact that if I did not work, I did not earn any money. However, thanks to a husband who has always been someone that saves money, we were able to make the trip again, so I assured her we would be there. July came, and it was the most beautiful time of our lives. I would often joke about my two seniors, my husband and my mom. We were in Michigan by one of my sisters for a week, and because I drove up, my mother and my husband could sit back and enjoy the scenery and amuse themselves with lively conversation. It took some time to get there from Georgia, not because I did not drive straight through, but because my two seniors wanted to stop here and there, and see this and that, and I stopped. We returned to Georgia eight days later, late in the evening. Another of my sisters was celebrating her church anniversary, and I had promised Mama we would go. Because we had returned so late from Michigan, she had decided not to wake me up and go alone. Oh how happy I am today that I was awoken by the still small voice within me, before she left the house. It was an inspiring church service, and I sat in the church pew with my arm around my mother. She was a short little thing, so you could barely see her head above my arm. When we left to come back to Germany, my mother took me aside and told me how much joy I had brought her by coming home again. Unknowingly these words would gain significance in my life two months later. It was October. My cellphone rang. It was one of my sisters. I was on the way to a customer. Sitting there in the car on the side of the road, I fell into a state of shock. The cancer, mother had not had for thirty-five years, had returned. My telephone calls increased. Instead of once a day, I developed the habit of calling her whenever I desired to, and we would laugh, pray, and stir up our faith together. It was a joyous time. November 17, 200l, I called my mother as usual at twelve noon and received no answer, so I called one of my sisters. My mother had been admitted to the hospital. She had had the first of two strokes. I talked with her every day in the hospital. It was the 29th of December 2001, and our plane landed in Atlanta. When I walked into the house with my husband, her tears began to flow. We were there for her birthday, and we had three hard, but glorious weeks where I took care of my mother. It was February 17, 2002, and my telephone rang. My mother had had her second stroke, and the doctors had discovered the reason. It was the chemotherapy. Talking with my mother on the phone, she said what I did not want to hear nor face. She let me know she was going to stop the chemo and go under the care of Hospice. Once again, I flew home to insure my mother had the best of care. Upon leaving, I told her I would be back at the end of September. Two weeks before we were to fly out, my sisters called to let me know Mama was worst and probably would not be alive upon my return, but I had this reassurance within me she would make it. As we flew out on the 29th of September, everyone thought she was going to die, and I would arrive too late. We landed in Atlanta and picked up our rental car and drove to Augusta, Georgia. When I walked in the house, I remember saying, “Now where is the lady of the house?” And my almost dead mother started laughing. For two and half weeks, I cared for her, sang to her, and read to her. We planned her Home-going ceremony, what she wanted to wear, and I was the one who put the last pair of earrings she had on in her ears. If I am anything in the body of Christ, I believe I am a mouth, and so my mother asked me if I would speak at her Home-going just as I had at my daddy’s. She wanted me to tell the people how genuine she was, and I said yes, not knowing where I would get the strength or the courage to speak about a woman whom I had taken through so many trials, and yet she had always loved me, never given up on me, and was extremely proud of the kind of person that I was becoming. It was November 13, 2002. I was in my office, and one of my employees asked me to take a phone call, because they had someone on the phone that only spoke English. I took the call in my office and instinctively close the door behind me. It was my sister who lives in Lansing, Michigan. My mother had just gone home. At that moment in time, I felt the knife rip through my heart, and a large empty hole had been left in its aftermath. It was November 18, 2002. The church was overcrowded. There were so many people who knew my mother and had adopted her as their mother too. She had influenced the lives of many. As I stood before the crowd, I talked about the woman who I had come to love deeply. They laughed at many of the things I said. It was a joyous time. It was the kind of speech my mother had wanted. At the end of my small talk I reflected back on the immense richness of our relationship, and I could see my mother sitting in one of the crowded pews, laughing along with everyone else in the church, and I could not help but repeat the parting words, she and I would always say to one another before hanging up, as I looked out at all the people who were in attendance. “I love you Mama,” I said. It is when you're in the heat of the battle that you must hold on to your own beliefs and not give up. Most people know this, or they have heard someone else who has gone through the heat successfully speak of it, but remarkably few think about the meaning of the words, the heat of the battle, which I equate to going through the fire, on your journey until the fire stands before them. Fire burns–– It hurts and the pain increases. The way unknown as it is becomes precarious. You wonder if you have made a mistake listening to the inner voice within your spirit. You asked yourself how did you get yourself into such a mess by following your dream. You thought you had everything under control until the unexpected happens. And all the while you are questioning your decision, the fire keeps moving toward you––the battle rages. Fire burns – You let your mind wander as you are being encircled by the fire and the way things were, and you begin to think the past was not so dreadful after all; the boredom forgotten in the job you were doing, the past looks lucrative; the desire to turn around and go back tempt you. Some people do turn back only to find the bridges no longer exist; others find the bridges have remained, but the people they once knew have become mockers. You see, they mock them, because they did not go through the fire. They turned around–– in the heat of the raging battle. Fire burns – You're standing in the middle of the circle of this terrible fire. You are surrounded. There are mountains around you blocking your way, and the fire is moving towards you. The circle gets smaller and smaller. The fear of failure calls your name out, the fear of loss hunts you, and the fear of the loss of your own dignity stalks you, and you feel as if you are the only biggest fool in the world––the battle rages. Fire burns – You stand there. Soon you are overtaken, and you know this is it. There is no way to avoid the fire now. You have waited until it is too late. You can no longer escape. Surrounded by the fire, you gather up the last little bit of courage as the flames reach out for you. Driven by fear, you stretch out your hands and embrace the flames expecting this to be your last action––in the heat of the raging battle. Fire cleanses- Your shackles of doubt, fear of loss, fear of failure and loss of your own dignity burn. They dissipate into the flames of the fire, and within the fire, you begin to dance. The hindrances, which held you back, no longer bind you. Instead of going under, you find yourself being emancipated––the battle is won! The fire that burns has set you free!